#HISPZ16 Time for Doing Good and Getting Better. La Potencia que es Hispanicize is upon us once again, and thanks to the S Sisters Babushka will be attending once again. Didn't think BB was going to go this year, but fairy Godmothers/fathers DO exist. Gracias to Miriam, Manny, Heather y Maria, this will be the fifth time Blessed. Why does Babushka call this a blessing? JU SO FONII !!! 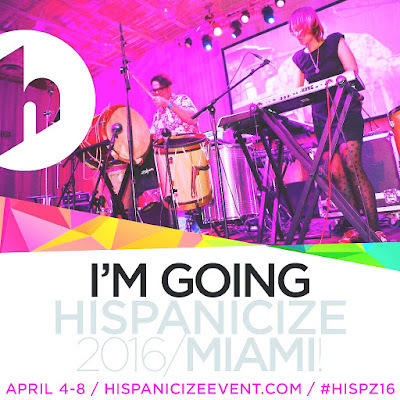 Hispanicize is THE event to attend if you are in the hispanic social media, or want to be. #Hispz16 is the iconic, largest annual event for Latino trendsetters and newsmakers in digital content creation, journalism, marketing, entertainment and tech entrepreneurship. The event will take place in downtown Miami’s InterContinental hotel, April 4-8, 2016. The Hispanicize event is a launch pad for creative endeavors, new products, technologies, marketing campaigns, films, books and more targeting Latinos in the U.S. and/or Puerto Rico. Vieron why BB calls it La Potencia? Pero realmente, it's so much more than that and it truly is one of those things you have to experience in person to see/feel the power and potential. It's gathering of like minded individuals who believe in the power of Latinos, our talents, contributions, and aspirations. A place where we can exchange ideas, knowledge, concerns to better each other and in turn our world. After 5 years Beautifuls, this is like a family reunion for BB. A family reunion where as a collective we can change things we care about. Es mas, there will be a panel "Multicultural Influence for Commerce,Justice, and Social Good" presented by The Colvert Foundation. 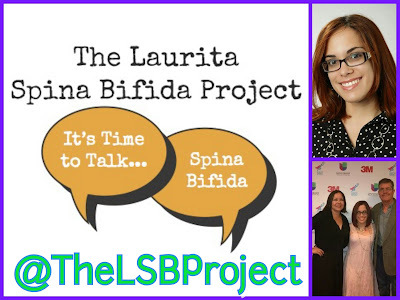 Y'all KNOW how much Babushka believes in doing things for Social Good and am especially feliz that she can do another BB Twofer, This year mi querida amiga Laurita Tellado is launching her Non-profit The Laurita Spina Bifida Project. Laurita and her Bella familia have been very special to BB for many years now and being able to help in such a worthwhile cause is a wonderful thing. "Spina biﬁda is a neural tube defect that leaves an opening in the underdeveloped spine at birth. It is more common than muscular dystrophy, multiple sclerosis, and cystic ﬁbrosis combined. 70 percent of cases, there are as many as 166,000 people living with spina biﬁda in the country. According to the Centers for Disease Control and Prevention. Latinos have the highest incidence of spina biﬁda of all ethnicities." Laurita was born with Spina Bifida and is now the Maravillosa Ms. we all love, but it hasn't been, and isn't without its' trials and frustrations. “Many organizations that cater to the spina biﬁda community are almost exclusively focusing on preventing spina biﬁda, and are founded and run by parents and health professionals,” Tellado said. “The Laurita Spina Biﬁda Project seeks to educate the community about the issues affecting those of us currently living with spina biﬁda. We are the ﬁrst organization of our kind— conceptualized and founded by an individual who is living with Spina Bifida." And that is the heart of Hispanicize Beautifuls, helping each other. Pero there's also the soul of our hispanidad- La Musica. It's another track and major plus of going to HIspanicize. Babushka was introduced to so many up and coming artists who are now major players en la musica! And you know how much BB loves her dance! So, come join us in Miami for #Hispz16 ; Babushka will be covering it on social media, just follow the hashtag y A BAILAR SE HA DICHO!! !